Detail from cover illustration by Joseph Cummings Chase for Boys Life, February 1925. 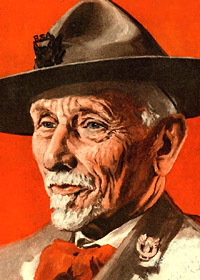 Dan Beard was a painter, illustrator, and founder of the Boy Scouts of America in 1910. He formed "The Society of the Sons of Daniel Boone" which developed into "The Boy Pioneers" in 1905, which then became the Boy Scouts of America after he heard about the work of Baden Powell. His writings on the group appeared in Recreation, a magazine that he edited. 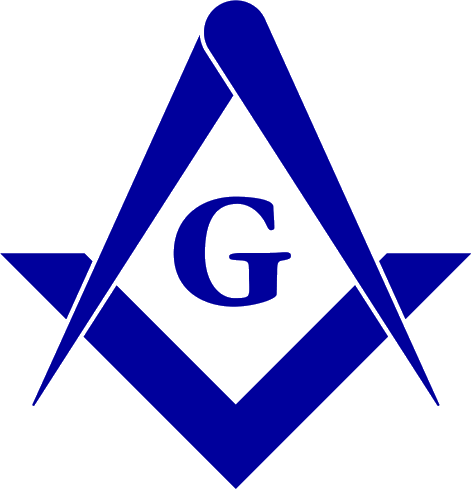 Griffith O. Ellis (1869/11/19 - 1948/02/04), co-founder and editor of American Boy, was Raised April 11, 1911 in Oriental Lodge No. 240.